2016 UCI U.S. Sprint Gran Prix was a season opener for the ages. Monique Sullivan of Canada left her mark on the history books as well as she set a new track record for the women’s flying 200m during the morning session, clocking a 10.333, besting her teammate’s Kate O’Brien’s record. Sullivan beat Mandy Marquardt at night, as Sullivan defeated Marquardt in the women’s sprint finals. 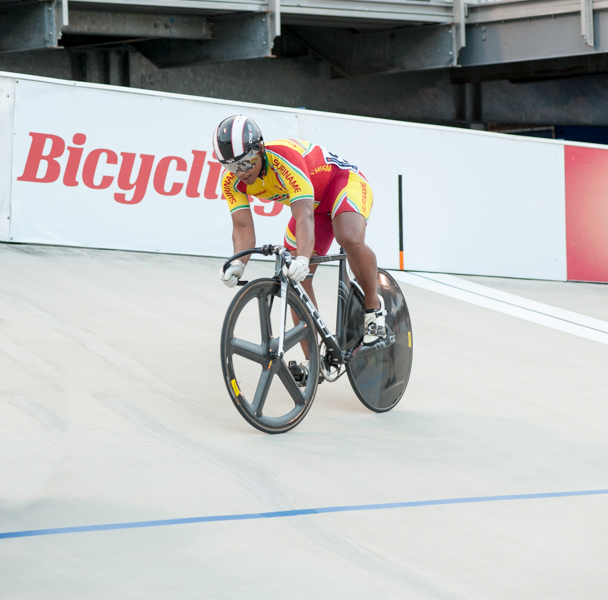 On the men’s side, it was Jair Tjon En Fa of Suriname who bested Shane Perkins of Australia in straight rides to claim the men’s 2016 UCI U.S. Sprint Gran Prix championship. Missy Erickson, who recently transplanted to Mertztown, Pennsylvania from Los Angeles won the UCI 10km Scratch race. Erickson was making her return to the track after an extensive absence from competition due to injury. She also finished second in the women’s 12 lap preme The other UCI points came in the men’s UCI 15km scratch race where New Zealand’s Luke Mudgway took first place. Stephen Hall of Australia finished second. Two-time defending rider of the year Colleen Hayduk won the women’s 12 lap preme race, Bobby Lea won the men’s SuperSprint Elimination, and Matt Rotherham won the men’s 3km men’s final. Service Electric’s broadcast of Friday’s action can be seen on Saturday at 4:30 p.m. and on Sunday at 2 p.m. The night concluded with a fireworks extravaganza presented by the Schmoyer Funeral Home, the Trexler Funeral Home, and the J.S. Burkholder Funeral Home, which dazzled the thousands of fans. The World Series of Bicycling resumes on June 10 with the UCI Fastest Man on Wheels. Gates open at 6 p.m.